This past week, a class of boys in Lakewood, NJ, were learning about nezirus, when two 12-½-year-old boys each remarked, “I wish to become a nazir for a minute.” Since the halacha is that a person who is almost 13 – kotton hasomuch l’ish in halachic jargon – may be mekabel nezirus, and if one accepts nezirus for even a short amount time it goes into effect for a period of 30 days, there was concern that the boys were obligated to adhere to the nezirus. The question was presented to Rav Yaakov Forchheimer, senior posek at Beth Medrash Govoah in Lakewood, who, in turn, presented the shailah to his rebbi, Rav Shmuel Kamenetsky, rosh yeshiva of Yeshiva of Philadelphia. Rav Kamenetsky said that the boys should adhere to the laws of nezirus, such as not drinking wine or taking a haircut, until they go to a rov to be matir their safeik neder. 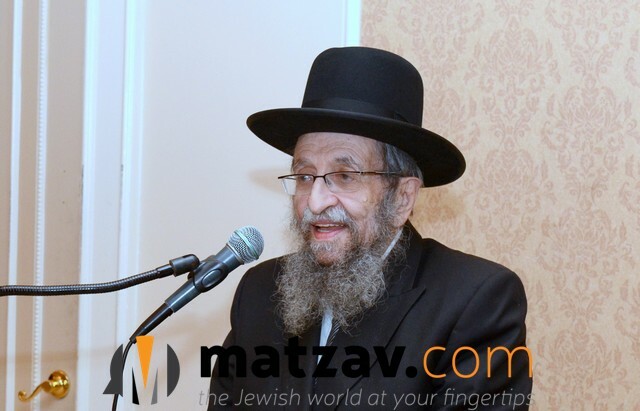 After this story was first reported last week on a Dan’s Deals forum and then on the Yiddish Kol Mevaser phone hotline, Matzav.com spoke to a talmid of Rav Kamenetsky, who confirmed the details of the rosh yeshiva’s response to the shailah. is this one of Dans Deals where you can get 29 days of nozirus for free? whats te connection to here? unless you mean if a gadol can be matir a kotons neder!?! This has been a weird summer. A lot of strange things are happening. I heard once heard someone say in the name of R’ Pam ZT”L that b’zman hazeh since there or no more korbanos the entire nezeirus can not take place. cute shailah. We need more stories like this Matzav! Watch out soon they will learn Kidushin that can really be dangerous!! The kiddushin story took place between a teenage girl and boy in a pizza shop a half century ago. In fact, if you look into many of the old responsa , it seems like kedushin was indeed once a common prank or shpiel. But neziros for a child is a first time..
Kiddushin has an easy fix well! maybe it’s a color war breakout?